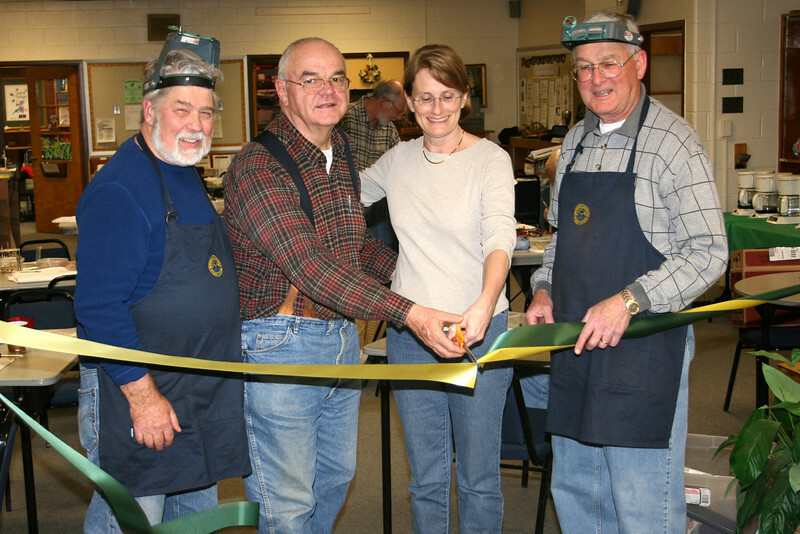 Cutting the ribbon 20 March 2006 for the start of the New Clock Repair Class under thr auspices of the George McNeil's Potomac Guild. L to R George Evans (Instructor), Lloyd Lehn (President of Potomac Guild), Karen Bixler (Coordiator, City of Fairfax Senior Center), and John Enloe (Instructor). Cutting Ribbon for first class.